Join us at barbacco on Wednesday, November 1 for an evening of PASTA! PASTA! PASTA! 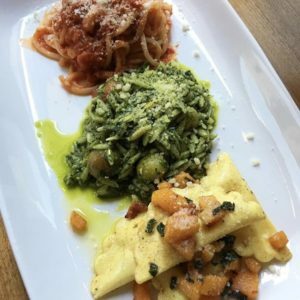 In addition to our regular menu, the first Wednesday of each month we will offer a special $25 pasta dinner that includes an antipasto, three of our favorite pastas, and a side of seasonal vegetables. The menu can be found below and reservations can be made by calling 415-955-1919 or online here.